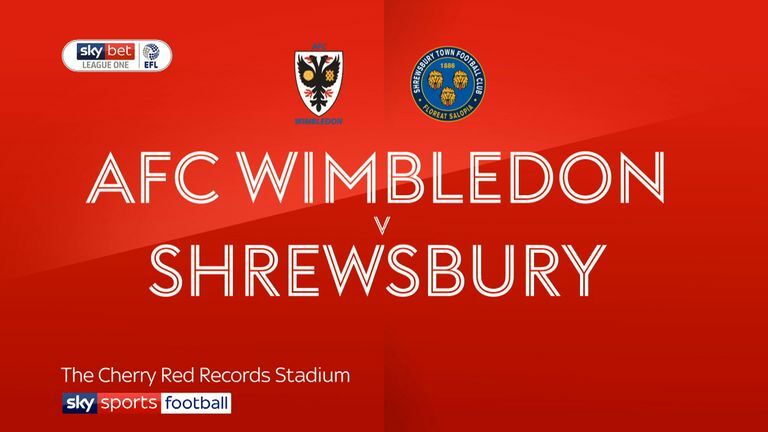 Highlights of the Sky Bet League One game between Wimbledon and Shrewsbury. 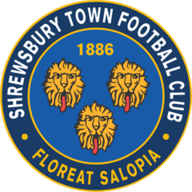 Luke Waterfall scored two second-half goals as Shrewsbury roared back to secure a 2-1 Sky Bet League One win at fellow strugglers AFC Wimbledon. The visitors pressed hard for a winner in the final half hour, and were rewarded when Waterfall dived in to head home Greg Docherty's cross in the 89th minute and the hosts have now lost their last seven matches in League One. Wimbledon went close early on as Scott Wagstaff latched onto James Hanson's pass, before firing straight at Steve Arnold. Tom Soares then saw a shot deflected narrowly wide, but the hosts went in front after 35 minutes when Hanson headed home as he met Mitch Pinnock's far-post cross. At the other end, Joe McDonnell superbly saved a powerful header from Waterfall. The Shrews improved after the break, and after Fejiri Okenabirhie had gone close, Waterfall levelled as he poked home from close range after a corner was not cleared. 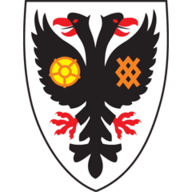 Wimbledon goalkeeper McDonnell was called upon again to keep out a firm drive from Docherty, before Waterfall swooped to secure a precious win for the Shrews late on.